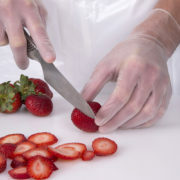 When you change gloves often –every time you make a sandwich or bag a bagel – you want a glove that’s easy to put on and take off, and that won’t bust your budget. EasyfitBASIC is loose fitting for easy on and off. 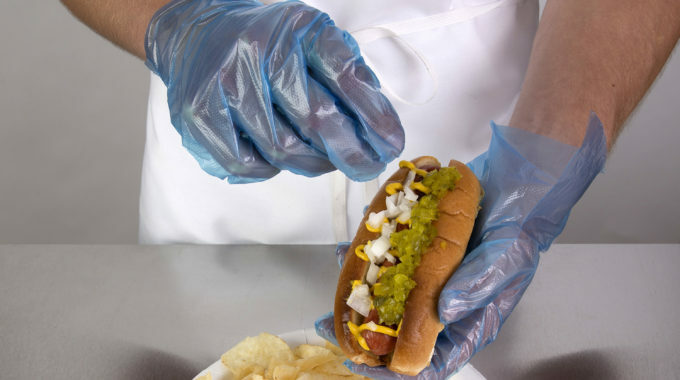 It’s the least expensive glove in our line, at less than a penny a piece. 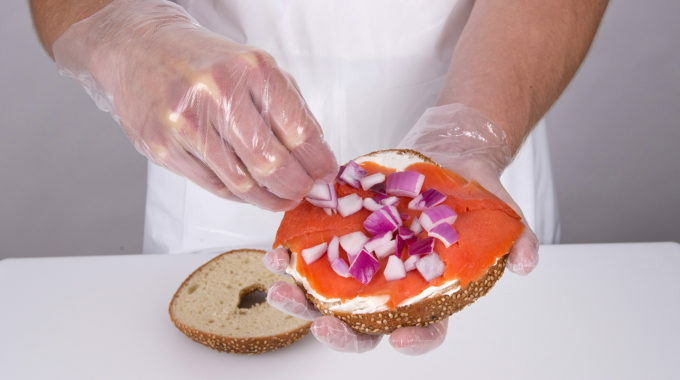 When you change gloves often – like every time you make a sandwich or bag a bagel – you want a glove that’s easy to put on and take off without being a budget buster! 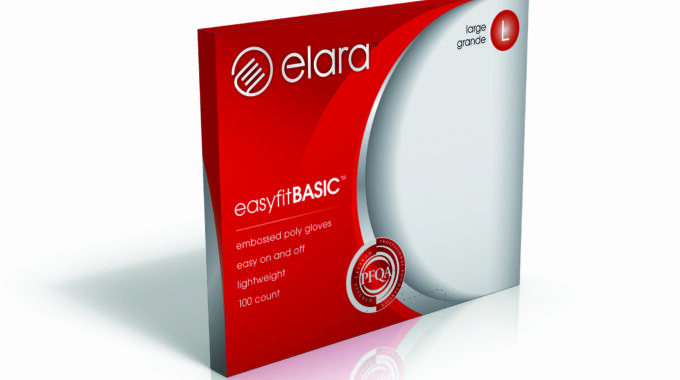 Easyfit poly gloves fit the bill. Loose fitting and about a penny a piece. 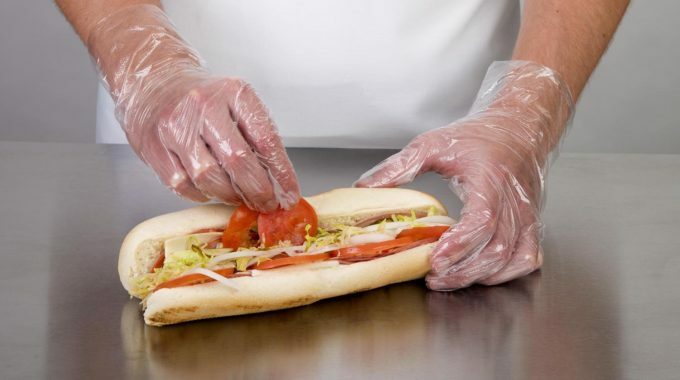 So you make sandwiches or work the deli counter. You change gloves relatively often. You don’t need a more expensive glove, but want a little more durability. EasyfitMAX is the glove for you. Loose fitting, easy on and off, with added thickness for longer wear. And still very economical. 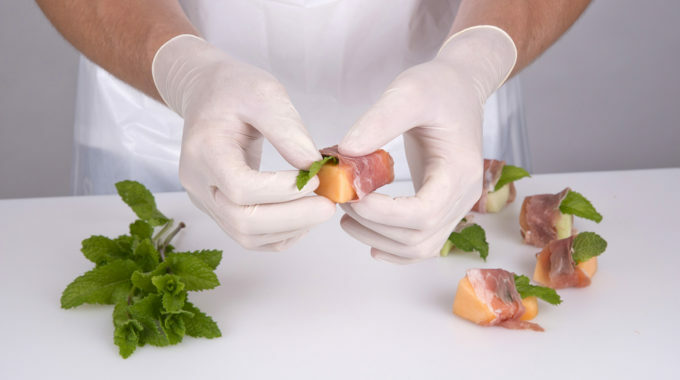 If traditional plastic gloves are too loose for your delicate work, like preparing sushi, easygrip is for you. Easygrip cast poly gloves fit the contours of your hands for a better fit and feature a deep textured surface for improved grip. Thicker than typical poly gloves for longer wear. Have the need for speed? EasyON is for you. 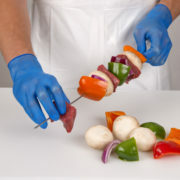 These loose fitting gloves dispense one-at-a-time from a header pack you can mount almost anywhere. Slide in your hand and momentum will release the glove from the header. 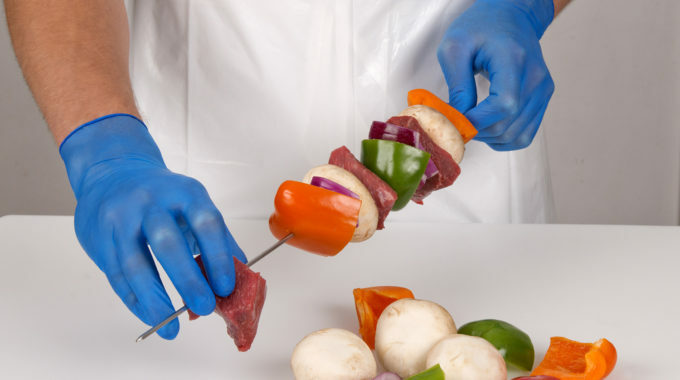 Blue color is easily identifiable in case a piece breaks off into food. Show your customers you care about their health with Mitzeez. 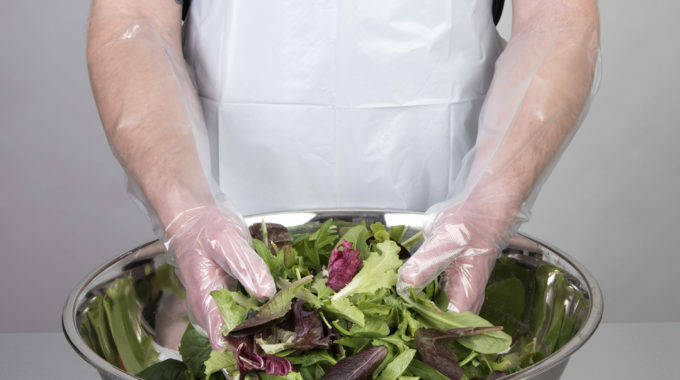 These single-use mitts are easy to slip on at salad bars and other self-service areas, helping to prevent the transmission of illnesses via hands and utensils. Store tests show that customers appreciate the courtesy! One-Size-Fits-All. Easy on and off. 250 mitts are mounted to disposable dispenser with adhesive backing. 100% recyclable. Looking for an eco-friendly vinyl glove replacement? Digifit hybrid gloves are form fitting like vinyl. Elastipolymer (LLDPE/LDPE formulation) material is 100% PVC/Phthalate/BPA free and 100% recyclable. 200 ct. dispenser reduces packaging 50%. Powder Free. Latex Free. 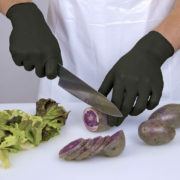 Looking for a versatile general purpose glove? 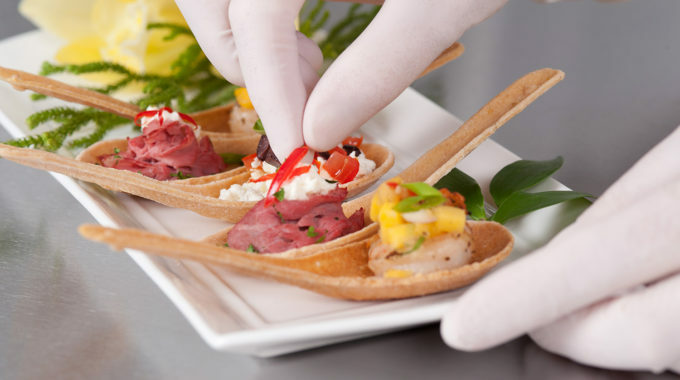 Form-fitting and flexible, Prepfit is ideal for foodservice, janitorial, industrial, general purpose and household applications. Lightly Powdered and Powder Free styles. Latex Free. DOP/DEHP/DINP/BPA free. Want a better feel for your work? 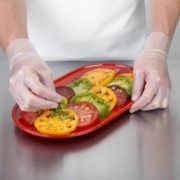 PrepfitFLEX gives you great touch sensitivity and comfort. More flexible. 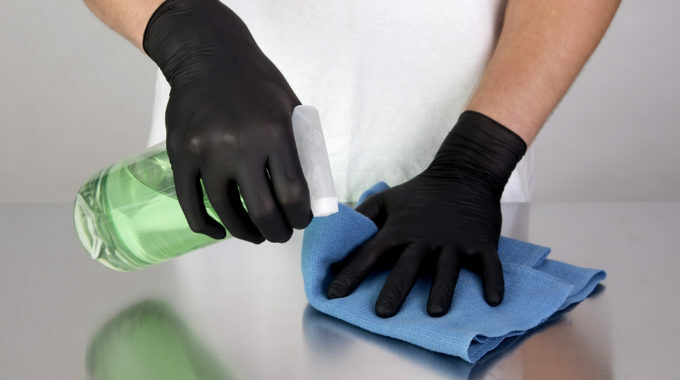 Your hands won’t tire out from repeated use as with heavier, stiffer gloves. Powder Free. Latex Free. DOP/DEHP/DINP/BPA free. Looking for versatility with extra durability? 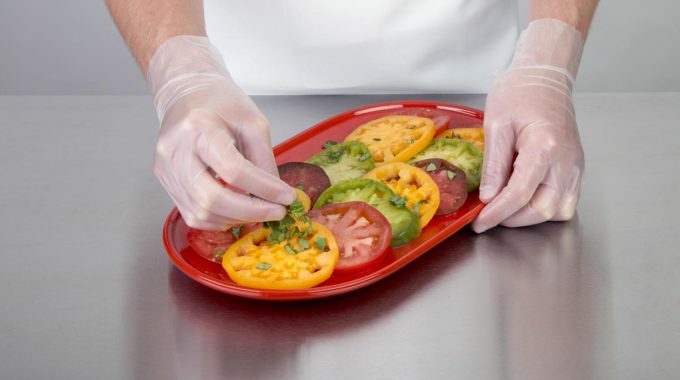 PrepfitMAX is form-fitting and flexible with extra thickness for foodservice, janitorial, industrial, general purpose and household applications. Lightly Powdered and Powder Free styles. Latex Free. DOP/DEHP/DINP/BPA free. If a piece of a glove breaks off on your manufacturing line, you need to identify it quickly. 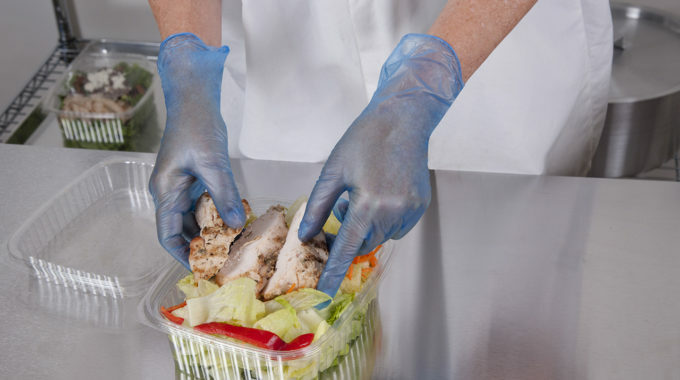 PrepfitBLUE vinyl gloves are easy to spot. The blue color also makes it easier to see if employees are complying with your glove use protocols. Powder Free. Latex Free. DOP/DEHP/DINP/BPA free. Want a latex-like glove that won’t stretch your budget? 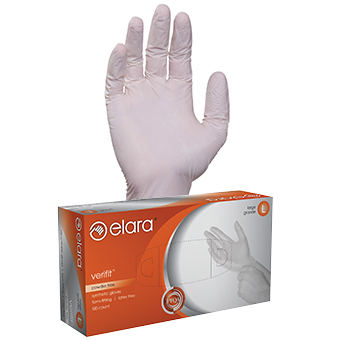 Verifit is 100% latex free. 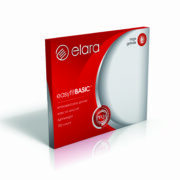 No natural proteins, eliminating latex allergies. Lightly Powdered and Powder Free styles. DOP/DEHP/DINP/BPA free. Want a heavier latex-like glove that won’t stretch your budget? VerifitMAX is 100% latex free. 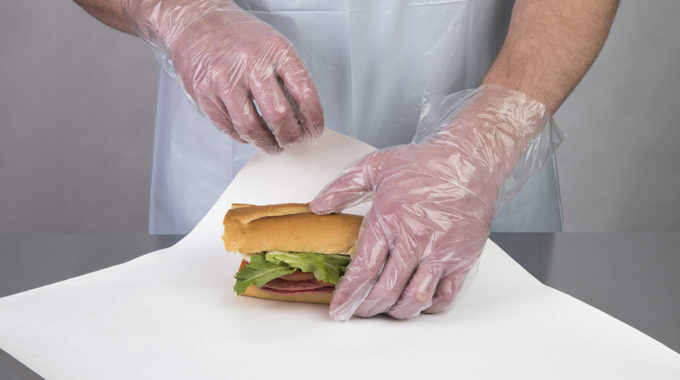 No natural proteins, eliminating latex allergies. Lightly Powdered and Powder Free styles. DOP/DEHP/DINP/BPA free. Looking for a glove that feels like a second skin? 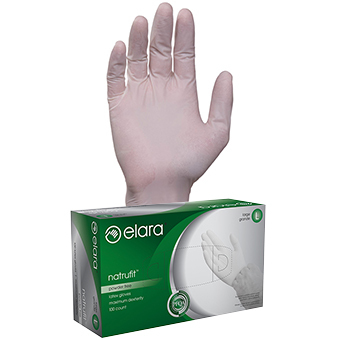 Natrufit latex gloves hug the contours of your hands and fingers to provide the highest level of touch sensitivity. Available in Lightly Powdered and Powder Free styles. 100% PVC/ Phthalate/BPA free. 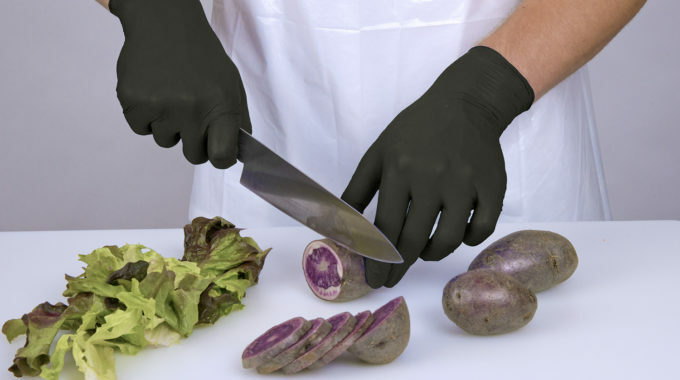 Tired of wasting money on gloves that break? Everfit nitrile gloves outlast vinyl and latex, stand up better to chemicals and animal fats, and resist tearing, punctures and abrasion. 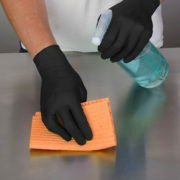 Ideal for janitorial, foodservice and industrial use. 100% Latex/PVC/ Phthalate/BPA free. Powder Free. Not sure how light or heavy your glove should be? EverfitALL nitrile gloves are the perfect middle ground. 4 mil toughness. 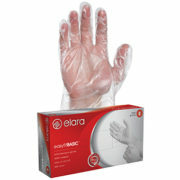 Superior to vinyl and latex gloves. 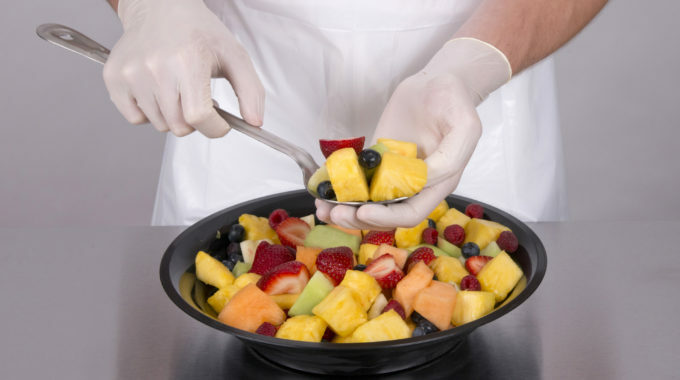 All-around protection from chemicals, fats, grease. Resists tearing, punctures and abrasion. 100% Latex/PVC/ Phthalate/BPA free. Powder Free. Looking for a workhorse of a glove? EverfitALL5G nitrile gloves are extra tough, 5 mil strong. Superior to vinyl and latex. Enhanced protection from chemicals, grease, fats, tearing, punctures and abrasion. 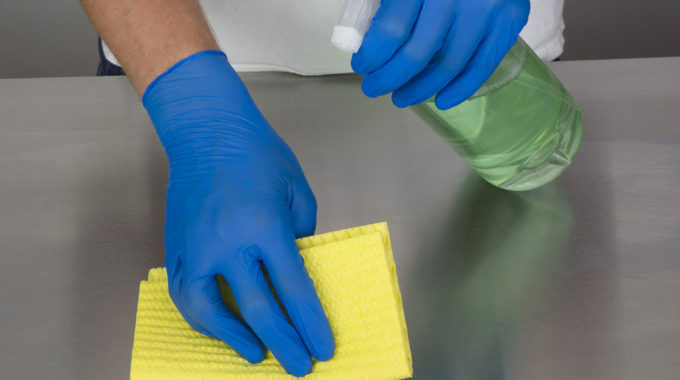 Ideal for janitorial, foodservice and industrial use. 100% Latex/PVC/ Phthalate/BPA free. Powder Free. Blue gloves not doing it for you? EverfitBLACK3G nitrile gloves blend durability and style. Last longer than vinyl and latex. Better resistance against chemicals, fats, tearing, punctures and abrasion. 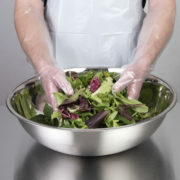 Ideal for foodservice, janitorial, general purpose use. 100% Latex/PVC/Phthalate/BPA free. Powder Free. 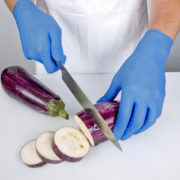 Blue gloves not doing it for you? 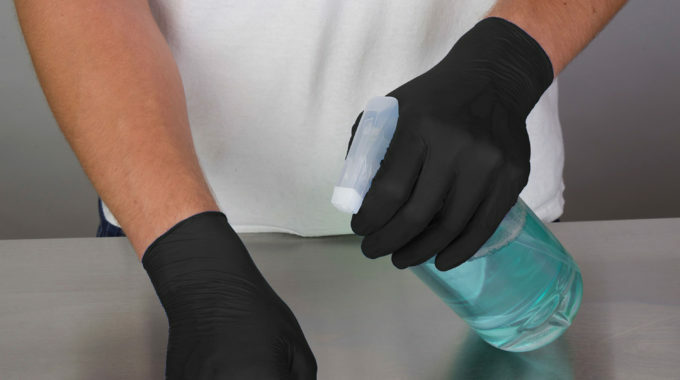 EverfitBLACK nitrile gloves blend toughness and style. Last longer than vinyl and latex. Better resistance against chemicals, fats, tearing, punctures and abrasion. 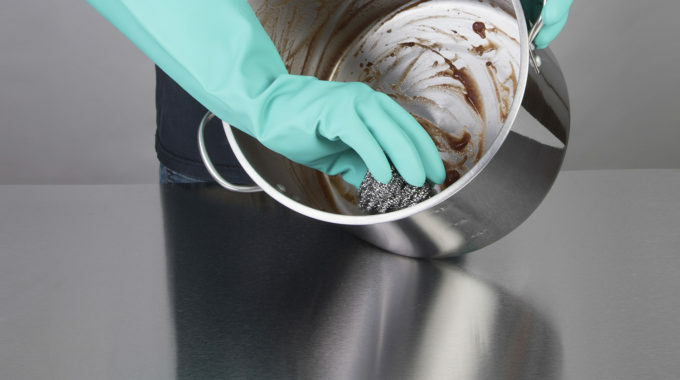 Ideal for janitorial, foodservice and industrial use. 100% Latex/PVC/Phthalate/BPA free. Powder Free. Durability meets style! 5 mil thick EverfitBLACK5G nitrile gloves are extra strong. And they look super cool as well! Superior to vinyl and latex. Extra protection against chemicals, animal fats, tearing, punctures and abrasion. Ideal for janitorial, foodservice and industrial use. 100% Latex/PVC/ Phthalate/BPA free. Powder Free. 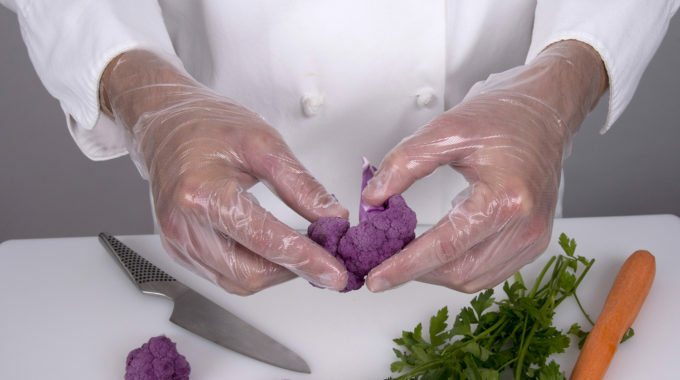 Frustrated by thin gloves that break but hate the clunky feel of heavier gloves? Dextrafit is your answer. Lightweight, yet amazingly durable. Outlast vinyl and latex gloves 3x. Extra-soft formulation for superior comfort and feel versus heavier, stiffer gloves. 100% Latex/PVC/ Phthalate/BPA free. Powder Free. 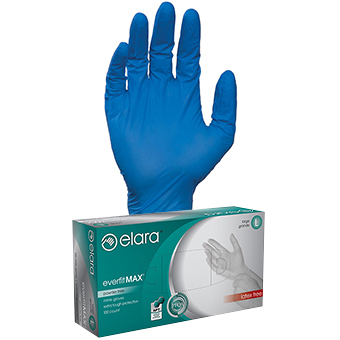 EverfitMAX nitrile gloves are larger, roomier and more comfortable. 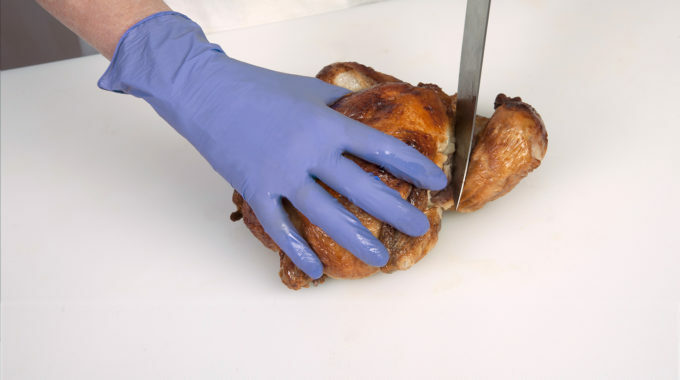 Extra stretch makes them easier to put on over glove liners. 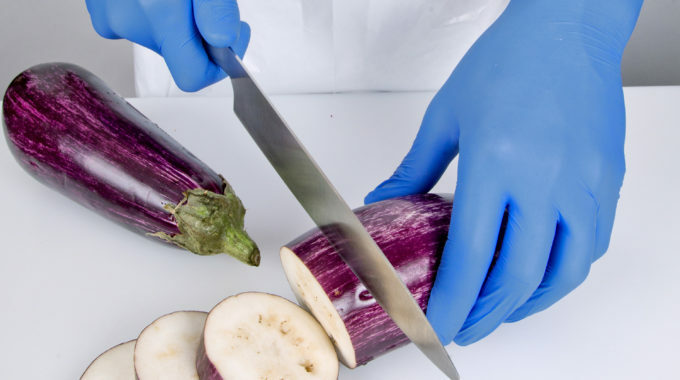 Tough against chemicals, animal fats. Resist tearing, punctures and abrasion. 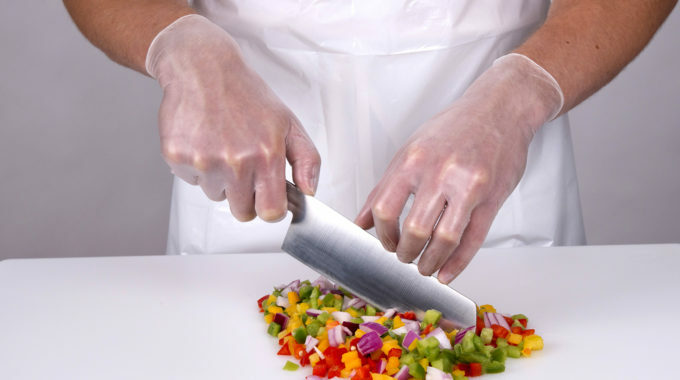 Foodservice, meat cutting, processor, janitorial use. 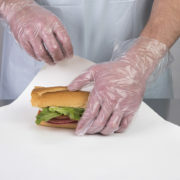 100% Latex/PVC/ Phthalate/BPA free. Powder Free. 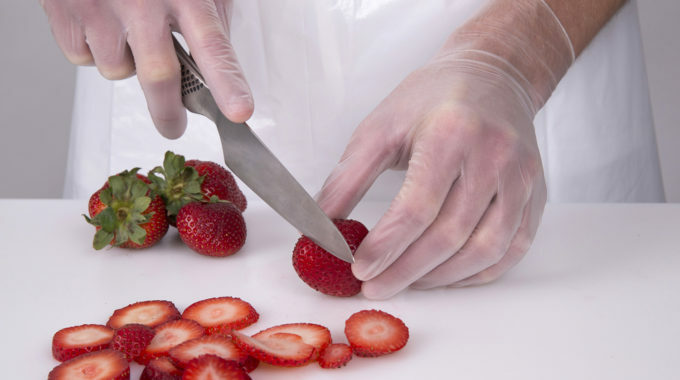 Prevent costly injuries with FendFLEX HD cut resistant gloves. Made from a special blend of high performance fibers and stainless steel, FendFLEXHD gloves provide maximum protection, dexterity and comfort. 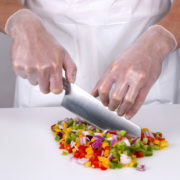 Ideal for meat cutting, fish scaling, cleaning slicer blades (non-rotating only). ANSI & CE cut level 5 – highest rating. 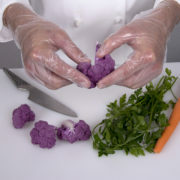 Built in antimicrobial protection lasts for the life of the gloves. Dishwasher, washing machine, sanitizer and dryer safe. 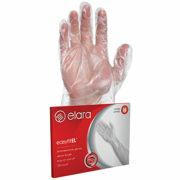 Elara Yellow Latex Utility Gloves are waterproof and resistant to a variety of cleaning chemicals and detergents. 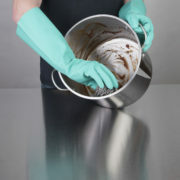 Use them for washing dishes and for performing an array of janitorial and general purpose tasks. The embossed texture enhances grip for both wet and dry handling, and the cotton flock-lined interior improves comfort and absorbs perspiration. Hand-specific pairs provide for a better fit and enhanced dexterity. 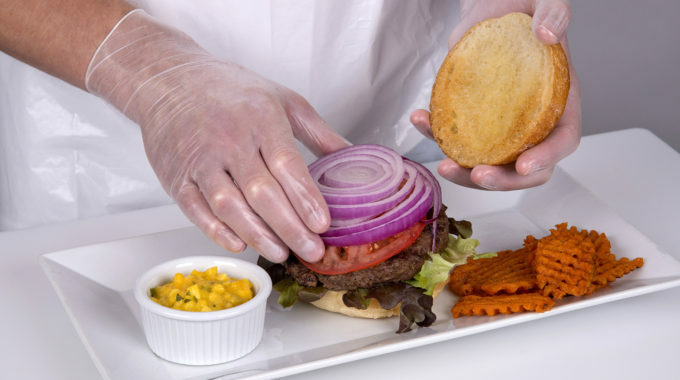 Our heavy duty 28 mil thick Orange Latex Utility Gloves are waterproof and provide enhanced resistance to a variety of cleaning chemicals and detergents. 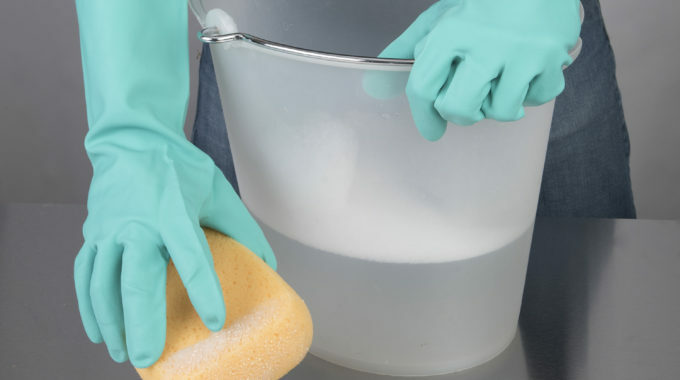 They are suitable for washing dishes and performing an array of janitorial and general purpose tasks. The embossed texture enhances grip for both wet and dry handling, and the cotton flock-lined interior improves comfort and absorbs perspiration. Hand-specific pairs provide for a better fit and enhanced dexterity. Elara heavy duty Neoprene gloves are 30 mil thick. 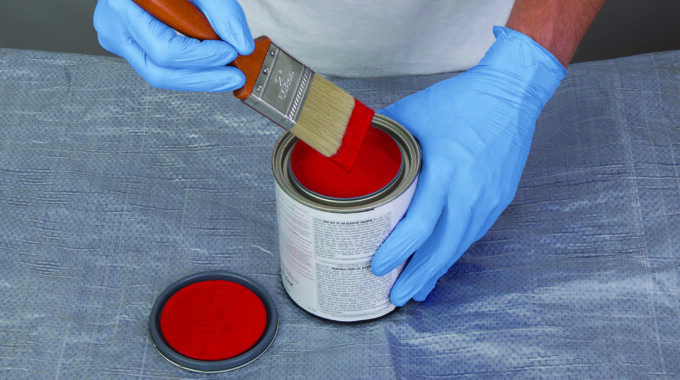 They provide excellent resistance to snags, punctures and abrasion, as well as chemicals, chlorine solvents, inorganic acids and petroleum products. 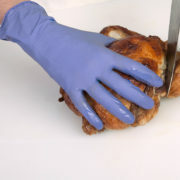 At 16” long, these gloves give you full forearm protection. The embossed texture enhances grip for both wet and dry handling, and the cotton flock-lined interior improves comfort and absorbs perspiration. Hand-specific pairs provide for a better fit and enhanced dexterity.